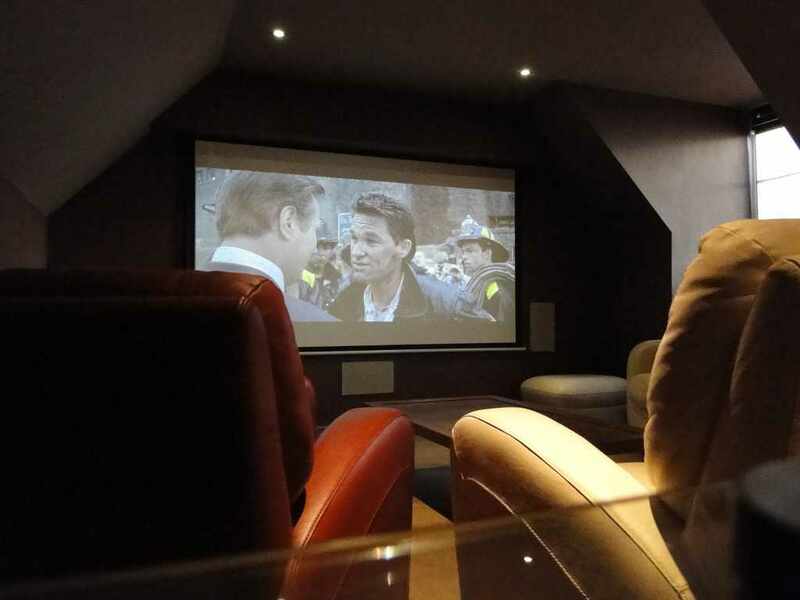 Our clients brief for this Cheshire residence was to convert a loft room into a dedicated High Definition Home Cinema Room with in wall and ceiling discreet loudspeakers and an electrically operated screen which when not in use disappears into the ceiling. 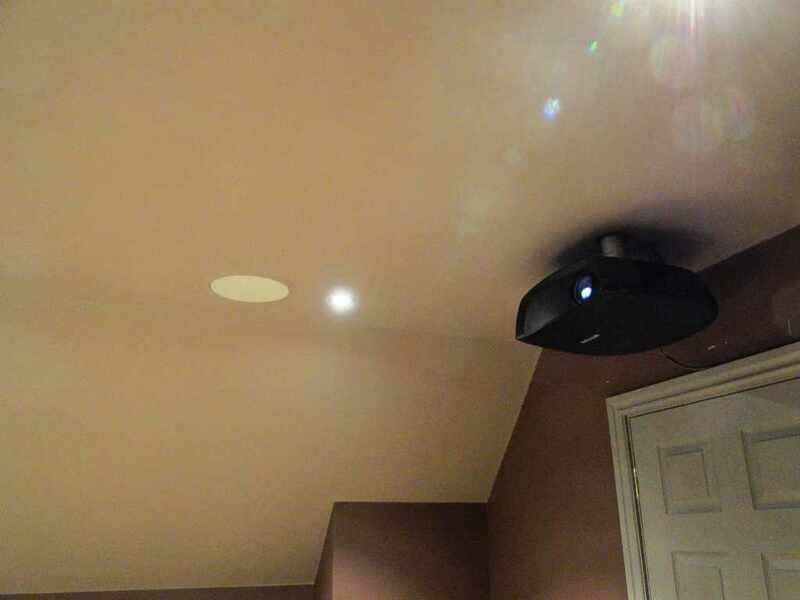 As the screen and in wall loudspeakers where going to be installed into as solid wall we suggested and then built an acoustically damped false wall to recess the screen and loudspeakers into, this kept the lines of the room clean, simple and clutter free. 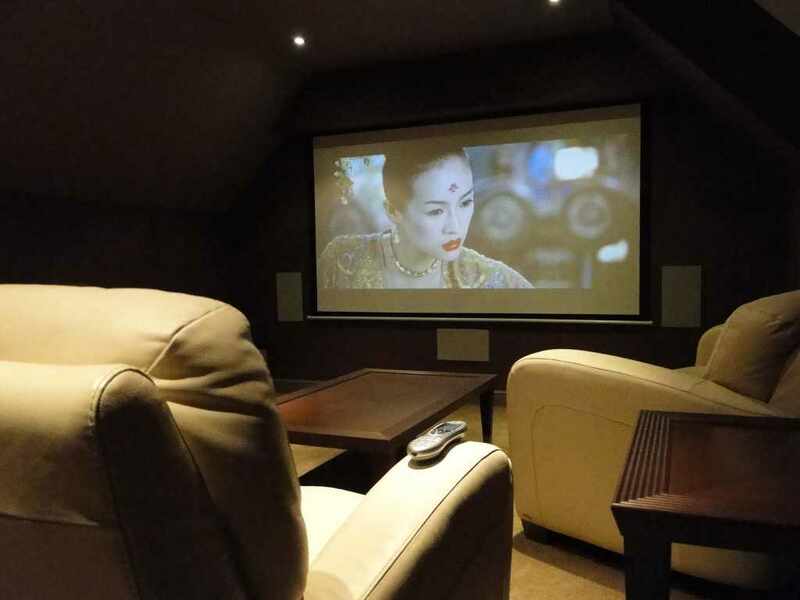 We chose the In Focus IN81 1080P High Definition DLP Projector. 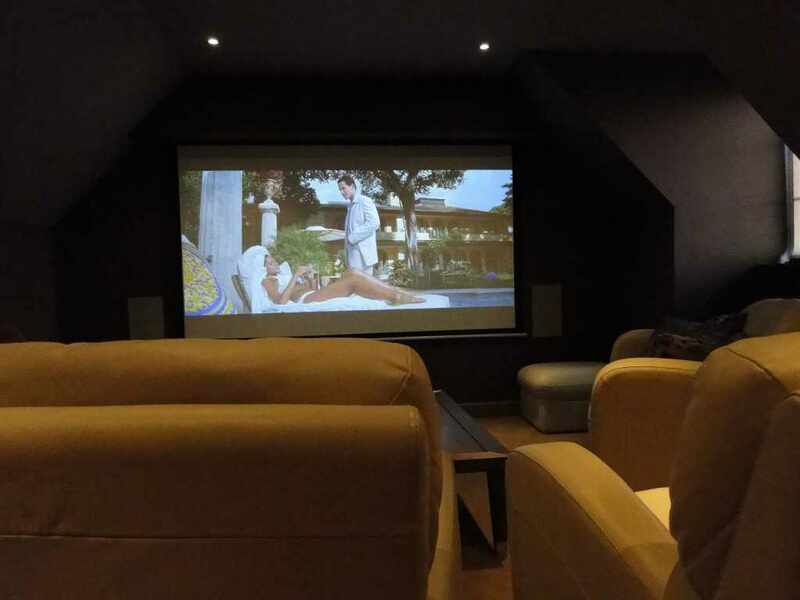 Using the highly acclaimed Speakercraft MT range of in wall loudspeakers, a pair of Revel B12 subwoofers, Primare Spa22 AV Receiver and the award winning Pioneer BDP-71 Blu-ray DVD Player brought this impressive 7.1 Home Theatre to life. 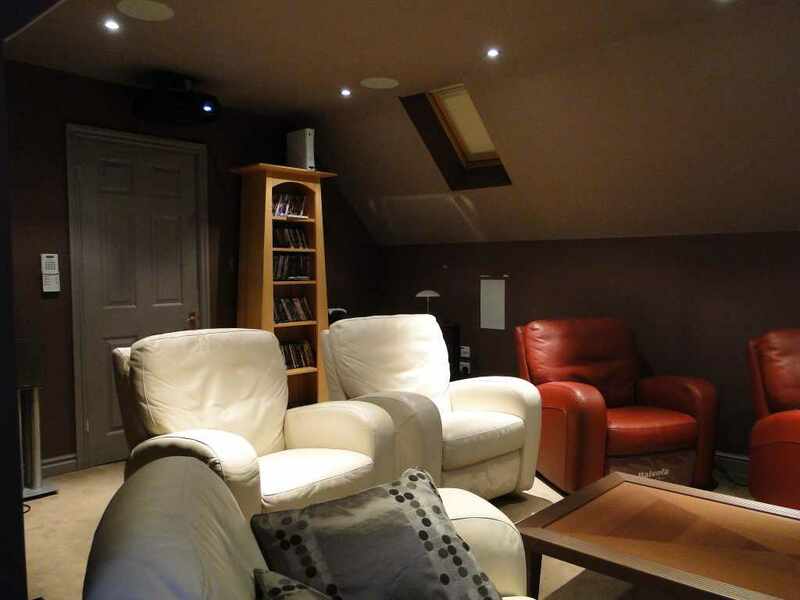 To control our clients dedicated Cinema Room we used Rako lighting system with wall and remote dimmers combined with a cost effective Logitech Harmony Remote Controller with RF extenders for the Rako lighting and all the other components within the system. 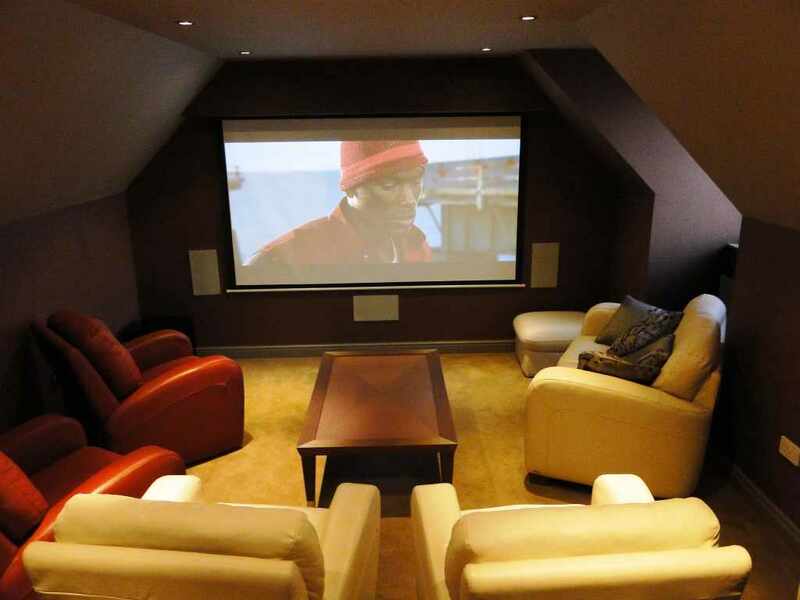 See-AV were then commissioned to install CCTV cameras around the property with remote monitoring and network control facility for iPad, iPhone and PC, Using Videcon H264 Real Time Recorder to give complete access to all recorded CCTV images.